I am an active mother of three very over-energized boys. My middle being Xander, who is 6 years old and has severe autism. Xander is non-verbal and sometimes aggressive. He is the sweetest most loving little boy you’ll ever have the chance to meet. He can not read or tell me why he suddenly goes from happy to sad and angry. He’s a remarkably smart little boy who understands far more then you’d believe. He has a real connection with his loved ones, being his immediate family, grandparents (dad’s parents), and his aunt, uncle and cousins. 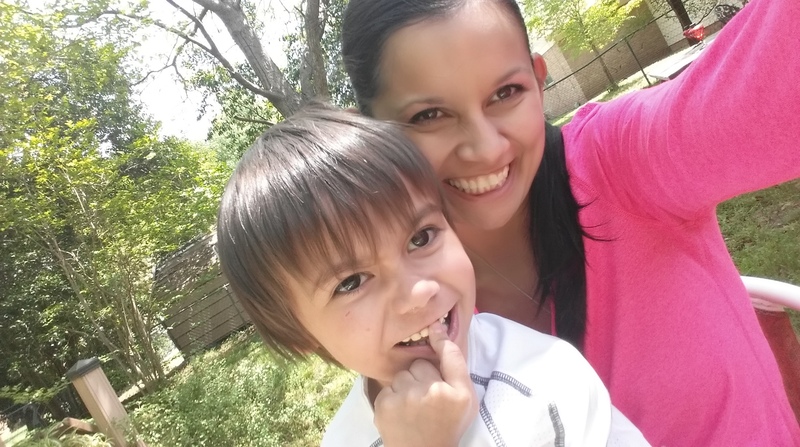 Raising a child with autism is a constant challenge and being his mother is an exhausting, exhilarating, emotional, and lonely roller coaster at times. Xavier, our first son is 8 years old and Xayden our youngest is 4 years old. With the varying personalities each of the boys have, I feel overwhelmed and blessed by the love and support we have from family, friends, and strangers near and far. With the many mood swings, behaviors, outbursts and responsibilities of Xander it’s hard at times to keep everyone happy and moving forward for an extended period of time. It’s extremely difficult to paint a portrait of what our household is really like in our day to day life of raising a child with autism. As most know, routine is crucial to a child with autism. I do my best to keep a routine throughout the summer months as I do during the school year but find it hard to do at times. Routine for Xander has not been great of late due to a recent move, which explains alot of his recent meltdowns. I’ll take you through a typical day during the school year. Bedtime for Xander, as well as his brothers is 8:30pm school nights and 9:00pm weekends. It’s the same routine each night. I announce bedtime twice, 30 minutes before at which time I start getting his brothers ready for bed so that Xander is the last in bed. By 8:20pm it’s Xander’s turn and we hunt down his favorite pillow (which is usually in the middle of my bed), we go to the bathroom, get his pajamas on (he may or may not stay in them all night, he hates clothes), fan on, get tucked into bed, and he’ll sometimes fall asleep on his own. 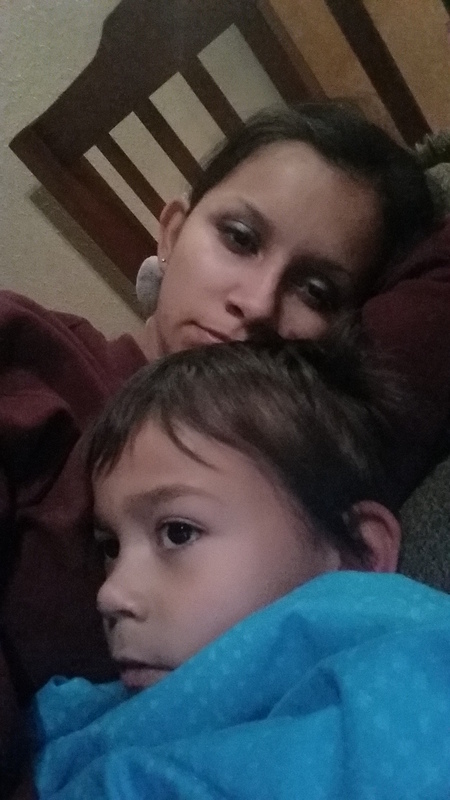 A lot of nights he’ll scream, kick the wall, throw his toys, pull his covers off his bed and hit himself on the head. Then there are nights when he wants nothing more then me to lay beside him rubbing his back, whisper softly in his ear or sing to him if he lets me which could be 15 minutes or hours until he falls sound asleep. If I try moving before he’s asleep, he’ll pull me back down by my neck and wrap my arm around him until he does (this way he knows mama isn’t going anywhere til then). His mornings are a hit or miss. I’m usually the first one up so I wake his brothers up at around 6:30am, help them get ready and prepare their lunches. Xavier is pretty self efficient with getting ready by himself but I usually always have to help Xayden get ready. Xander is the last to get up and I usually wake him up at 7:00am sharp. That gives me about an hour to get him ready and to make sure he’s awake. His mood when he wakes up in the mornings will usually dictate how the rest of the morning at home getting ready will be. He’s not a happy camper if he’s awakened abruptly. I tend to wake him up by rubbing his back which is followed by three long stretches. He has his bathroom routine we do before we get dressed for the day. I find it easier to get Xander ready last because 8 times out of 10 he will have his morning meltdown. His morning meltdowns can lasts anywhere from 5 minutes to 30 minutes at a time and the first thing he does is undress himself. I have the same dress routine every school morning. Socks first, followed by undies, shirt and pants. Shoes are the last thing to go on and he usually likes to help with putting those on by handing me each shoe. The hours a child with autism spends at school are extremely crucial, so getting the right program in place is extremely important. It’s all about the relationship among the child, parents, and teachers, and a “team” that includes the principal, autism specialist, occupational/physical/speech therapists, and other aides. An individualized education program (IEP) that can be constantly shaped and restructured is also vital as a child grows, regresses, and succeeds or fails at mastering goals. Late 2013, we moved to South East Texas and it was a daily heartache for a good couple of months. Everything was new and that was a disaster for a little boy who thrives on familiarity and routine. 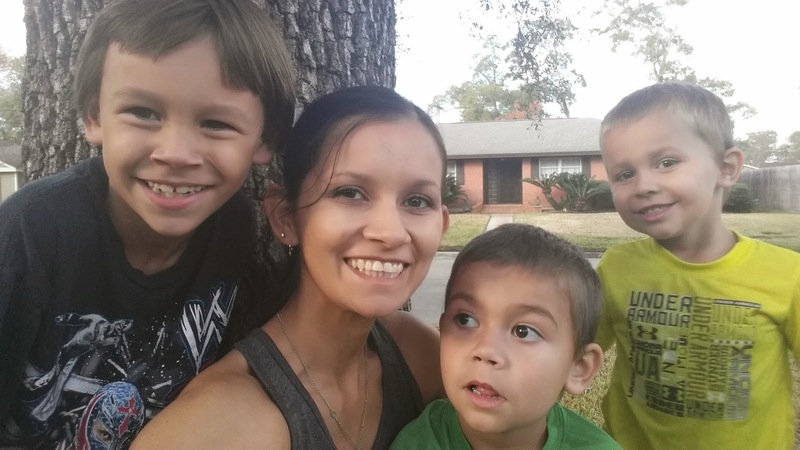 Through persistence, I was able to advocate for Xander requesting a change in his IEP (they were following an old IEP from his prior school which was not working) and instituting a functional behavior analysis (FBA) that would result in a behavior plan. He was moved to a structured learning classroom (SLC) at another school which took a little time for him to adjust to but he eventually settled in. This last year has been much better. He had a team that supported him and they were on top of things. He had a structured routine and individualized attention more than at the previous school. I pick him up from school at the same time every day and I tend to always arrive early so I’m there to greet him as he walks out the door. I constantly find myself asking myself a thousand questions while I sit and wait for him. Did he have a good day? Will he be happy or sad? Will he seek hugs and tickles or want to be left alone? I read the signs to know what the next few hours at home will be like. At the start of this school year, he left school aggravated, crying, and hungry. Now, whether he’s upset or not, Xander comes straight inside and immediately goes for his tablet and elephants. Our house is littered with an array of elephants big and small which are his favorite things aside of his tablet. He has hundreds of animal apps downloaded that he loves. Apps that teach him the animal, sound, and correct pronunciation are his favorites. 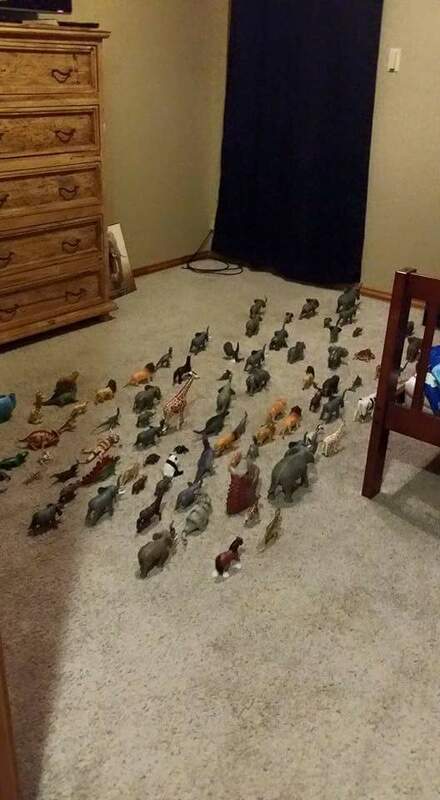 He will spend the next hour playing on his tablet and setting up his elephants so they’re perfectly aligned in a stampede, pairing the same sized ones together repeatedly. We call this behavior “stimming”. Many kids with autism have something they “stim” on. It alternately grounds or excites them, and they withdraw into that particular activity and avoid dealing with the world around them. The majority of our work is to pull Xander out of the silent world he retreats into, but after he’s had seven hours interacting with teachers, therapists, and aides, I allow him an hour or two of “stimming” time followed by a snack. Many kids want to be left alone after school to do as they please, and Xander is no different, so I honor that. It’s his downtime from the busy school day. I am blessed with the incredible amount of love my kids share for one another. In our household, I tend to think that my oldest, Xavier, is the heart. His bond with Xander is the strongest, and he is his biggest helper, protector, best friend, and his oldest brother. He has taken his fair share of knock downs from Xander, he never holds it against him; he has an incredible amount of patience and tolerance when engaging with Xander. His youngest brother Xayden, has had his share of knock downs as well. He absolutely loves his brother to pieces. Wherever Xander is, Xayden is sure to follow. He does everything Xander does. Xander does his best to tolerate his “shadow” at times but there are moments when he just isn’t in the mood to be followed nor bothered. Yet as my children grow older, the inevitable double standards are harder to navigate and it’s been challenging to say the least. There are different rules for the kids and my oldest doesn’t understand why at times. Intense tantrums (some short, some long) happen frequently throughout the week where Xander may cry, scream, pinch, kick, bite, or throw things. 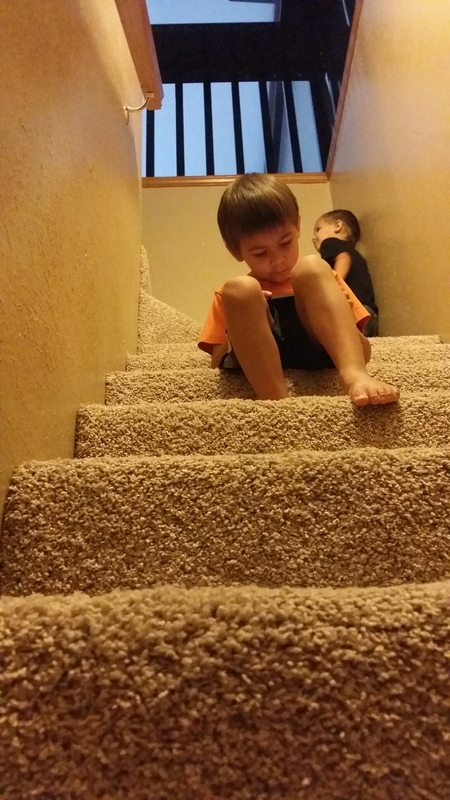 Sometimes, without warning, he has longer and more aggressive tantrums, and this is upsetting to his brothers. I worry about them seeing Xander angry, but I trust that they will follow our example of unconditional love for him. Still, I feel for Xavier, who has a ton of responsibilities and rules to follow. He feels like all the weight of doing daily chores are on his shoulders. I’ve had days where he’s accused me of not being fair to him. By 6:30 every night, Xander is in every cabinet and the fridge, trying to see what’s going to be for dinner. This kid is a bottomless pit, and he wants to eat when he’s ready (not when you are). If dinner isn’t ready, he throws a tantrum and goes into full meltdown mode. He’s a picky eater and only eats what he likes. It’s been difficult getting him to try new foods but he does have a few new things he’s tried and will eat. The evening meal is an important time when we should be able to come together as a family and share our day but more times then not it’s a hectic time. The boys are complaining about the food, and I’m constantly enforcing manners. Xander usually picks at his fries before he eats his chicken and he usually eats about half of what I put on his plate. He tends to make several runs to and from the table for bites. He hates sitting still when having to. My rules are: sit in the chair, eat your meal, and say “done” when you’re finished. I’m teaching him how to sit at the table until he’s finished eating. Rules and consistency are key with Xander. If I don’t demand proper behavior over and over again, while frequently enduring outbursts, pinches, and kicks in the process, Xander will not learn any meal etiquette. Still, I pick my battles. If he really doesn’t want to eat, I won’t force him to eat. I try to stick to the rules all the time, but often it’s impossible (if you’ve spent an hour in my home, you know). Hopefully by now, I’ve done everything on my list for the day: sent the kids to school on time, worked my business, handled the after-school routine, made it through dinner, and prepared for the next day. If we’re lucky, we have about an hour to play and relax before bedtime. This time can get taken up by bathing but I don’t dread that because Xander loves showers. Typically, though, all of us vegetate on the sofa watching Ice Age, Madagascar or something animal related to Xander’s liking. He’s always willing to join us on the sofa if we’re watching one of “his” movies. He loves to get behind you and push you forward just enough that he can sit on your back and shoulders. There are times he’ll want nothing more then to sit in your lap instead. I always like to bring the energy level down before bedtime (sometimes impossible), and this is a time when we all try and connect with him before the next day begins.